Thinking about renting a house in The Hamptons this summer? Now may be a good time to begin your search, especially for the 2018 Summer Season. It may seem early, however, it is never too early to start scouting out properties and negotiating with owners to ensure you get the house you want for the summer. Remember, you will have the house for the summer so spend the time and effort to ensure you get what you want! The Summer 2018 Hamptons Rental season is already off to a quick start thanks to the U.S. Open Golf tournament coming to the Shinnecock Hills Golf Club in June. This event is expected to draw a sizeable crowd and has already resulted in inquiries for rentals on the East End. Additionally, because some owners are now listing properties that they might not have otherwise given the opportunity, now is the optimal time as it relates to inventory selection. We are expecting the number of transactions to be higher for the 2018 season as compared to 2017 because of a change to the Rental Permit Law enacted by the Town of Southampton. The law was revised to allow rentals shorter than the previous 2-week minimum. There is now a waiver for special occasions and large events which can put a squeeze on the limited hotel inventory in the area. With that said, wealthy individuals may turn to renting a home for their stay during something like that U.S. Open rather then turning to a hotel. Additionally, we have talked a lot about the changes to the tax code and how it could impact real estate markets. We believe that the tax changes will impact the Hamptons Rental Market by increasing the size of prospective renters looking for property. Most people have now had an opportunity to see how the changes impacted their paychecks and have worked with their tax advisors to forecast their 2018 tax lability under the new guidelines. People are feeling wealthier and, generally, increased wealth leads to people being more likely to and willing to spend money. Get ahead of the curve and begin your search for a summer rental in the East End now. Inventory is better earlier in the season as compared to later in the season (May/June). Questions to consider: do they allow pets? are utilities included? are you, as the tenant, responsible for paying for pool maintenance, gardener, etc.? what is the security deposit? Owner may be more likely to negotiate the rate for the summer if you commit to locking in early (now). First time offered on the rental market, this brand new magnificent home with 22' ceilings boasts 9 bedrooms, 8.5 baths and has all one could wish for in a summer retreat. The lower level has a 15 seat movie theatre, wine cellar, arcade, full gym, sauna and steam rooms and 2 bedrooms with 3 baths. Sited behind electric gates with a heated edgeless infinity saltwater pool, asphalt surface tennis court and hot tub, this location is prime as it is close to village shops and ocean beaches. Call for details as they are too numerous to mention. This will not last - contact us below for your private showing today! End your summer on a high note with the 42nd Hampton Classic Horseshow returning to Bridgehampton this Sunday. The Hampton Classic is one of the "it" events on the Hamptons circuit. The show, well into its third decade, is well respected from locals and equestrian-lovers alike. This year's show will be help from August 27 - September 3. The Classic is often regarded as one of the most prestigious outdoor equestrian events held in the country. This year's show marks the 42nd edition of the Classic. The show features competition from every level, from young children in leadline classes to Olympic, World, and World Cup Champions. The Classic became highly distinguished in 2009 when it became only the second horse show ever to receive the designation of Heritage Competition by the United States Equestrian Federation. Only those competitions that have been around for 25 or more years are eligible to receive this designation. While the competition in the show can certainly be stiff as some of the best in the world come to compete, there is fun to be had on the grounds as well. The 60-acre Hampton Classic show grounds is also a destination for dining and shopping as the event is known for its celebrity sightings and high-end boutiques that host pop-up shops on the lawn. This year’s Boutique Garden is expected to have more than 80 vendors. Also returning for the second year will be "Jump for Charity" where 10 rider captains will be paired with 10 selected charities. Custom hats have been generated for each charity. If all hats sell, $30,000 will be raised which will be allocated to the top three charities in terms of performance of their captains! Opening Day, August 27th, will feature competition in six rings beginning at 8am. The highlight of the day will be the $30,000 Boar’s Head Jumper Challenge in the famed arena. This will be an arena of 1.40 meter jumps against the clock. If you are in the East End this weekend, attending the Hampton Classic is a must! Limited tables for purchase were available under the tent at last check. Additionally, General Admission is $10/person with children under 6 free. Outdoor space is highly coveted in the city, especially during the warmer weather months when long days lead to beautiful sunsets over the skyline. We look for outdoor space in apartments, and we also desire it when deciding where to go for a cocktail. Situated atop the Viceroy Hotel, The Roof offers a sophisticated space to escape Midtown to enjoy a cocktail and view. The space faces North, offering views of the classic Central Park South skyline as well as the park itself. The interior of the lounge is reminiscent of an old luxury airliner with a menu offering up craft beers, global wines, and classic and modern cocktails that rotate to utilize the freshest ingredients. 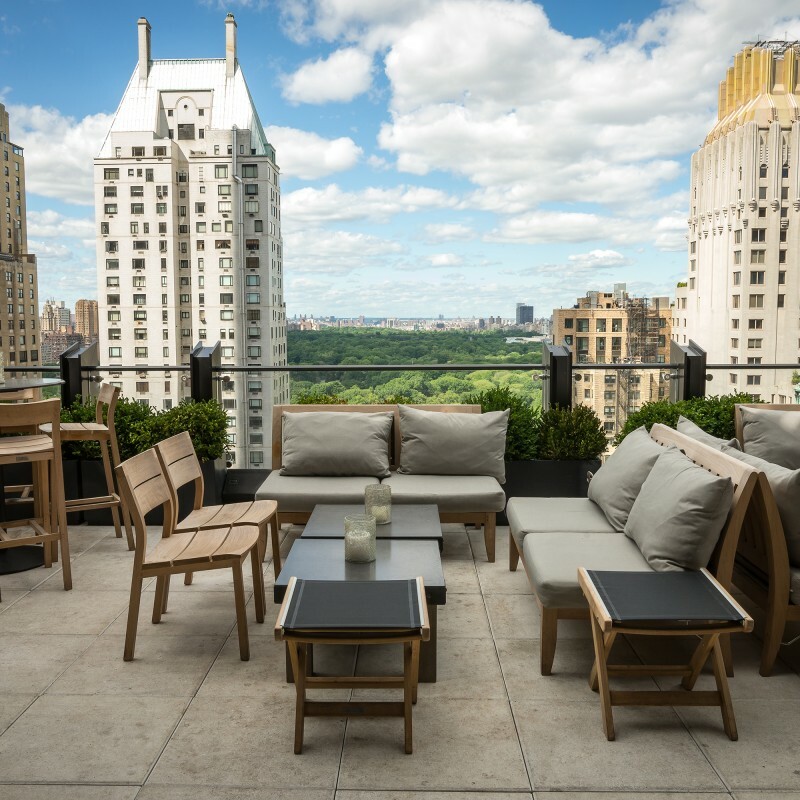 Take in views of the Chrysler and Empire State buildings while sipping on quality cocktails at the roof of the Park South Hotel. The space not only offers good views and good drinks, but also good DJs. The menu breaks down cocktails into categories such as “Effervescent and Easy Drinking” and “Fancy”. The space is outfitted with copper siding, orange canopies, and a fireplace. Looking for views of the skyline from a different perspective? DUMBO offers the perfect vantage point and the chic 1 Hotel offers the perfect spot from which to gaze. Grab a cocktail or glass of wine and take in sweeping views of the Manhattan skyline from the rooftop. Head to the Peninsula Hotel on 5th Avenue and make your way to the roof for a sophisticated setting to enjoy a drink while looking over the iconic stores of 5th Avenue. Salon De Ning was recently renovated in 2016 and features Hampton-esque aesthetics. The two outdoor spaces are complimented by an interior bar. The space operates on a first come first served basis. Tucked away in Hell Kitchen on Manhattan’s West Side is the Kimpton Ink 48 Hotel which is home to The Press Lounge. The Press Lounge is a fan favorite for rooftop bars in the city, offering up a swanky space and panoramic views of both the Manhattan skyline and Hudson River. Check out the newly expanded terrace of the Midtown outpost of PHD, the popular rooftop of the Dream Downtown in Meatpacking. PHD Terrace, at the Dream Midtown, allows guests to enjoy a different perspective than its sister, namely views of Midtown and Times Square. Word on the street is they serve a 164 oz. Moscow Mule! We are all gearing up to celebrate America's birthday on July 4th and enjoy the holiday weekend. Some things synonymous with the American holiday are BBQs, picnics, beach trips, and, of course, Fireworks. If you are in the city for the celebration, there will be a great fireworks display, and if you find yourself on the east end, there will be various events and fireworks displays throughout the weekend. In New York, the Macy's 4th of July fireworks on the East River will be taking place again this year, with 2016 marking the 40th show by Macy's. With such a milestone, perhaps this year will be an extra-special display. The show consists of barges between 23rd and 42nd streets as well as south of the Brooklyn Bridge in the East River and begins around 9:25pm. Expect any recommended viewing area to be crowded, especially the "official" viewing spots as declared by the city. Below are some official spots as well as restaurants and rooftops that offer great views with added fun. The official viewing spot for South Street Seaport is at Peck Slip. The seaport will be having family-fun games and activities taking place before the fireworks begin. There will be bands playing at the Seaport on both July 3rd and 4th. The city will be closing the FDR drive at certain locations along the east side that will be ideal viewing. The elevated portions of the drive will offer the best vantage points, and access to these will open around 7pm. You can enter at multiple points along the FDR with access-points at Houston, 23rd, 34th, and 42nd being ideal. The observatory at One World Trade Center will be hosting a viewing party from 8-10pm. The event will feature and open bar and "all American" hors d'oeuvres. With One WTC being the tallest building in the city, expect great views of the fireworks. Located along the east river promenade, Industry Kitchen is a great setting for views close to the Brooklyn Bridge. The restaurant is hosting a party with tickets starting at $175 for bar seating and $238 for table seating. The tickets include an open bar and buffet. 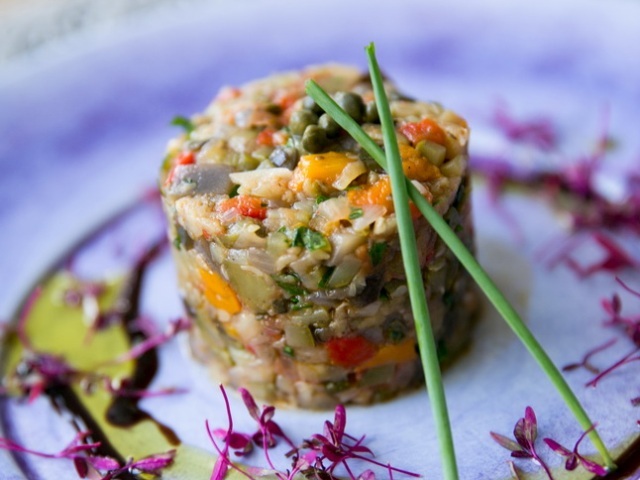 If you are looking for a trendy setting to celebrate America's birthday, consider the rooftop of the Hotel Indigo on the Lower East Side known as Mr. Purple. The rooftop bar and lounge complete with a pool offers great views of the city. The venue gets crowded on a normal summer evening so expect it to be full. General admission tickets are still available for $50 with VIP passes available as well. Events will be taking place throughout the holiday weekend out East with fireworks displays being put on almost each day across the Hamptons. Some of our favorites our below. In its 29th year, the annual picnic will take place on July 1st from 7-10pm and benefits the Southampton Fresh Air Home. The event has fun games for children to enjoy as well as food carts with quintessential American treats such as popcorn, ice cream, and hot dogs. The fireworks will be put on by Grucci. 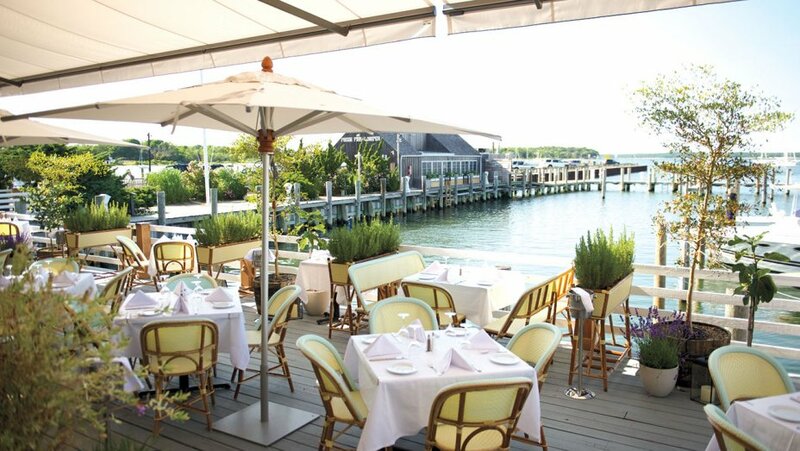 If you have a boat, this will be your ideal spot to enjoy some 4th of July fireworks from the water as you dock in Sag Harbor. If you are staying on land, there are great spots for viewing including Marine Park, Haven's Beach, and Sag Harbor Wharf. The fireworks display will take place July 2nd at 9:30pm. The fireworks in Montauk, sponsored by the Montauk Chambers of Commerce, will take place on July 4th itself. Like the display in Southampton, they will also be put on by Grucci. The show will officially occur over Umbrella beach, but will be viewable from many spots in the area. Consider getting there quite early to secure parking.